Feel inspired to be creative with this stunning coffee table set. 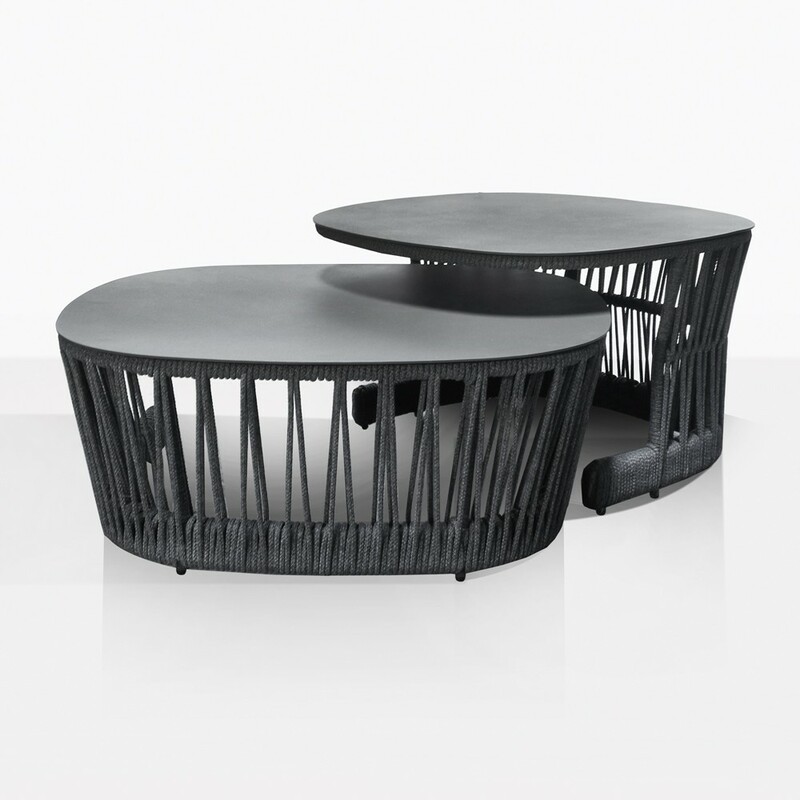 The Portofino Coffee Table is not your typical coffee table. It features two separate tables that can stand alone or be situated next to each other in a variety of ways. Slide one over the top for a layered look, place them end to end for a longer table. The frames are made with powder coated aluminum and intricately wrapped with thick outdoor rope. These tables go beautifully with the Portofino Sofa, Lounge Chair and Fixed Sectional Sofa. 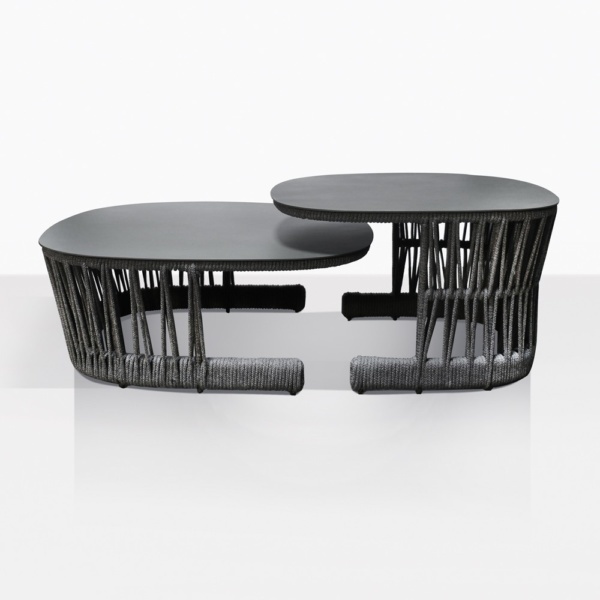 For more details about these amazing and unique coffee tables please call us today! Or request a quote online right now!